It's a situation pretty much everyone finds themselves in at some point during their careers: sending your resume out to scores of recruiters and/or hiring agents...and not hearing anything back. Before you consider giving up on your ideal job, here are three powerful tweaks you can execute that will immediately increase the amount of attention your resume receives. Specificity is one of the keys to a successful search in today's job market. Instead of going the "one size fits all" route with regards to your resume, research open jobs using sites like Monster and Indeed and start developing a database of positions that interest you. While you should ideally end up with a single job target, it's perfectly fine to conduct a job search across multiple targets. 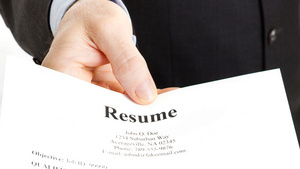 Just be sure to develop a separate resume version for each. Insert the EXACT TITLE of the position you're applying for right at the start of the resume. This will minimize the chances of your document being mis-categorized or lost in digital limbo during the submission process. Develop an opening paragraph that highlights why you'd be a great fit. Key experience at a previous job, a recently acquired degree or training certification, even soft skills such as team building/leadership or managing multiple client priorities are all examples of what might work within this section. Keep it brief, no more than 3-4 lines, and make sure it comes across as genuine. Create a "Core Competencies" section. Look through the job postings you've gathered and make a list of skills that are frequently requested (that you actually possess). Now create a section beneath the opening paragraph that lists these skills. For example, a Marketing specialist could have terms like Marketing Plans, Corporate Branding/Rebranding, and Trend Tracking & Analysis within this section. Utilize bullets to differentiate between terms and keep things tidy. Is the position directly relevant to the job I'm after? If so, begin the position with a few lines describing unique responsibilities, followed by a "Key Accomplishments" or similar section offering bulleted accomplishments. This approach provides the necessary context and really makes an impact visually. Can I use the position to highlight soft skills or a unique aspect of my background? Many jobs that aren't directly related to what you're presently after can still hold value in these 2 areas. Use the same approach as above but make sure these positions take up less space within the document. Is the position a liability? If you took on a role that was a significant step down in terms of responsibilities, salary, etc. or simply didn't work out, then it's worth considering leaving off entirely. As long as it doesn't create a major time gap within the resume, then simply skip to the next position. If it does, then briefly encapsulate the position within 1-2 lines and move on. Lack of a clear link between stated career goal and work history. It's important to use the opening paragraph you developed in step #1 as a kind of running theme within your resume. Make sure that the skills and attributes mentioned here are expanded upon throughout your work history, particularly with regards to recent jobs you've held. Don't be afraid to be a little redundant if necessary. A clear link is crucial to establishing credibility during the hiring process. Significant time gaps in your work history. While a gap of a few months between jobs won't raise any eyebrows, anything over 6 months needs to be addressed. Create a "Career Note" of a few lines and place it directly within your work history, between the 2 positions in question. Examples of information to include here can range from managing family responsibilities and fulfilling a personal life goal to taking an advanced training course or exploring new career avenues. Just make it clear that you weren't sitting around doing nothing. Lack of necessary education and/or training. If you're currently obtaining a degree or advanced training in a particular area, don't wait until graduation to leverage it within your resume! Simply add the words "In Progress" as well as the anticipated graduation/completion date when listing it within the "Education" section and you should be good to go. Anish Majumdar is the founder of ResumeOrbit, a firm that helps jobseekers develop new resumes and cover letters, leverage social media, and capitalize on under-the-radar career opportunities. Send him a note if you're interested in learning more.